I am an associate researcher at the Centre d'Economie de la Sorbonne (university of Paris 1) in Paris, France. I have been working in the asset management industry while teaching and publishing research. I teach finance and economics at the Sorbonne and Dauphine Universities and at the Ecole Nationale des Techniques Avancées (ENSTA). My peer-reviewed scientific publications can be found in various journals such as the Journal of Economic Dynamics and Control, Quantitative Finance, the Journal of Banking and Finance, the Journal of Empirical Finance or the Journal of Forecasting. 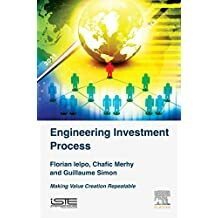 Engineering Investment Process: Making Value Creation Repeatable, with Ch. Merhy, and G. Simon, 2017, Elsevier. 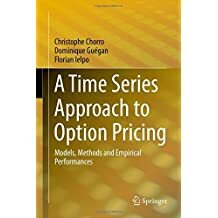 A Time Series Approach to Option Pricing: Models, Methods and Empirical Performances, with Ch. Chorro, and D. Guégan, 2015, Springer. 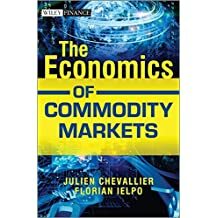 The Economics of Commodity Markets, with J. Chevallier. 2013, Wiley Finance. Testing for leverage effects in the returns of US equities, with Ch. Chorro, D. Guégan and H. Lalaharisson. Journal of Empirical Finance, 2018, vol 48, p. 290-306. Sector spillovers in credit markets., with J. Collet. Journal of Banking & Finance, 2018, vol. 94, p. 267-278. Commodity Markets Through the Business Cycle, with J. Chevallier. Forthcoming in Quantitative Finance. Published article. Option Pricing with Discrete Time Jump Processes with D. Guégan and H. Lalaharison. Journal of Economic Dynamics and Control, 2013. Working paper, Published article. Forecasting the European Credit Cycle using Macroeconomic Variables. Journal of Forecasting. Volume 32, Issue 3, pages 226–246, April 2013. SSRN, Published article. Option pricing under GARCH models with Generalized Hyperbolic innovations with D. Guégan and Ch. Chorro. Quantitative Finance. Volume 12, Number 7, pages 1079-1094. Published version. Martingalized Historical approach for Option Pricing with D.Guégan and Ch. Chorro. Financial Research Letters, vol. 7(1), pages 24-28, 2010. WP version (IDEAS). Empirical Bias in Intraday Volatility Measures, with Y. Fang and B. Sévi. Finance Research Letter. Volume 9, Issue 4, December 2012, Pages 231–237. Published article. 31 - Testing for leverage effects in the returns of US equities, with Ch. Chorro, D. Guégan and H. Lalaharisson. Journal of Empirical Finance, 2018, vol 48, p. 290-306. 30 - Sector spillovers in credit markets., with J. Collet. Journal of Banking & Finance, 2018, vol. 94, p. 267-278. 29 - An Anatomy of Global Risk Premiums, with L.N. Boon. Journal of Asset Management, 17:229, 2016. Full text. 28 - Towards the identification of cross-commodity relationships in metals markets, with J. Chevallier, Journal of Quantitative Economics, 2014, forthcoming. 27 - Investigating the leverage effect in commodity markets with a recursive estimation approach, with J. Chevallier, Research in International Business and Finance, 2014, forthcoming. Full Text. 26 - Time series momentum in commodity markets, with J. Chevallier, Managerial Finance, 2014, 40(7):662-680. Full Text. 24 - Common risk factors in commodities, with L.N. Boon and J. Chevallier, forthcoming in Economics Bulletin. Published article. 23 - Cross-Market Linkages: the Case of Commodities, Bonds, Inflation and Industrial Production, with J. Chevallier. Forthcoming in the Australian Economic Review. 22 - Commodity Markets Through the Business Cycle, with J. Chevallier and M. Gatumel. Forthcoming in Quantitative Finance. Published article. 21 - Understanding Momentum in Commodity Markets, with J. Chevallier and M. Gatumel. Applied Economics Letters, Volume 20, Issue 15, 2013. Published article. 20 - Determining the Maximum Number of Uncorrelated Strategies in a Global Portfolio, with L. Boon. Forthcoming in the Journal of Alternative Investment. 19 - Assessing the Cross-Commodity Relationships in Energy Markets, with J. Chevallier. Forthcoming in Energy Studies Review. 18 - 20 years of Jumps in Commodity Markets, with J. Chevallier. Forthcoming in the International Review of Applied Economics. Published article. 16 - Volatility Spillovers in Commodity Markets, with J. Chevallier. Applied Economics Letters, Volume 20, Issue 13, 2013. Published article. 15 - Option Pricing with Discrete Time Jump Processes with D. Guégan and H. Lalaharison. Journal of Economic Dynamics and Control, 2013. Working paper, Published article. 14 - Cross-Market Linkages Between Commodities, Stocks and Bonds. Applied Economic Letters, Vol 20 (10), 2013. Published article. 13 - Empirical Bias in Intraday Volatility Measures, with Y. Fang and B. Sévi. Finance Research Letter. Volume 9, Issue 4, December 2012, Pages 231–237. Published article. 12 - Implementing a Simple Rule for Dynamic Stop-Loss Strategies, with W. Ding and J. Chevallier. Journal of Investing, Winter 2012. Published article. 11 - Equity, Credit and the Business Cycle. Applied Financial Economics. Volume 22, Issue 12, June 2012, pages 939-954. Published article. 10 - Forecasting the European Credit Cycle using Macroeconomic Variables. Journal of Forecasting. Volume 32, Issue 3, pages 226–246, April 2013. SSRN, Published article. 9 - Hedging (Co)Variance Risk with Variance Swaps with J. da Fonseca and M. Grasselli. International Journal of Theoretical & Applied Finance. Vol. 14, No. 06, pp. 899-943. WP version, Published version. 8 - Option pricing under GARCH models with Generalized Hyperbolic innovations with D. Guégan and Ch. Chorro. Quantitative Finance. Volume 12, Number 7, pages 1079-1094. Published version. 7 - Mean-Reversion Properties of Implied Volatilities (2010), with G. Simon. The European Journal of Finance. Volume 16, Number 6, pages 587-610. Published version. 6 - Martingalized Historical approach for Option Pricing with D.Guégan and Ch. Chorro. Financial Research Letters, vol. 7(1), pages 24-28, 2010. WP version (IDEAS). 5 - Further Evidence on the Impact of News on the Interest Rates with D. Guégan. Frontiers in Finance and Economics, vol. 6(2), pages 1-45, October 2009.WP version (SSRN). 4 - Understanding the importance of the timing and the size of the variations the Fed's target rate with D.Guégan, the ICFAI University Journal of Monetary Economics, vol. 7(3-4), pages 44-72, August 2009. WP version (SSRN). 3 - Risk Aversion and Institutional Information Disclosure on the European Carbon Market: a Case-Study of the 2006 Compliance Event with Julien Chevallier and Ludovic Mercier. Energy Policy, vol. 37(1), pages 15-28, January. WP version (SSRN). 2 - Flexible Time Series Models for Subjective Distribution Estimation with Monetary Policy in View with Dominique Guegan. Brussels Economic Review. vol. 51(1), pages 74-104, SPRING 2008. WP version (IDEAS). 1 - Yield curve reaction to macroeconomic news in Europe : disentangling the US in influence with Marie Brière. in Stavarek, Daniel and Stanislav Poloucek (eds). 2008. Consequences of the European Monetary Integration on Financial Markets. Newcastle: Cambridge Scholars Publishing. WP version (SSRN). The Contribution of Jumps to Forecasting the Density of Returns, with C. Chorro and B. Sévi (SSRN). Sector Spillovers in Credit Markets, with J. Collet (SSRN). Simulation and Asset Pricing. Slides (PDF) and Computer class notes (PDF). Project to complete 2010 (PDF). Project to complete 2012 (PDF, Data). Project 2013 (PDF, same dataset as for 2012). Financial Econometrics : booklet (PDF) in French. Introduction to Fixed Income Securities : booklet (PDF) in French. Asset Liabilities Management : slides (PDF) in French. Copyright ©2019 Florian IELPO & VMR Global Solutions.